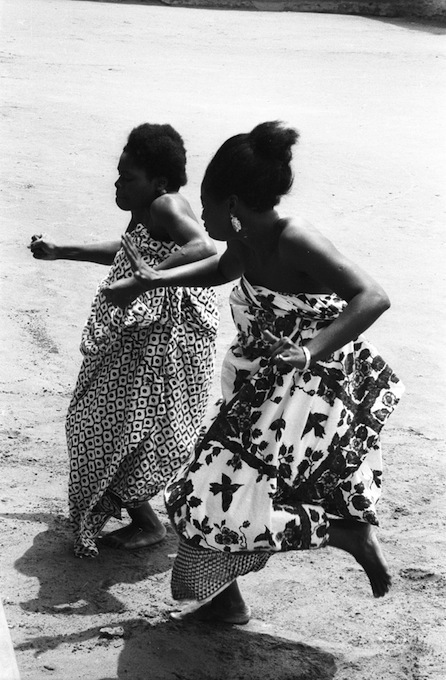 Other Elifoson: appliqué workers in Abomey — the dance of the women warriors — John Adetoyese Laoye I, Timi of Ede — cutting down a tree — a football match between Dahomey (i.e. Benin) and Nigeria. Captain Scott’s biographer makes a plausible case that we should remember the Antarctic explorer not as a heroic failure, but as someone whose reckless incompetence resulted int he entirely avoidable deaths of five people. Mike Konczal runs the numbers on the We Are The 99% Tumblr to find out what the posters are mainly talking about, and reaches some (gloomy) conclusions about what it implies. Devil’s Flower Mantis — a truly remarkable looking crustacean, Galathea pilosa — something that looks like a cross between a gorilla and a donkey, but is actually a chalicothere — a super-cute stoat video — a camouflaged lizard. Soviet cotton-picker fabric design — a segmented tree — collage by Juan Gatti. The Annunciation, Gerard David, 1506 — Young Woman with Ibis, Edgar Degas — Bowery, Paul Himmel — Night: Izcuchaca aqueduct, Arequipa, Peru. Carlos Vargas and Miguel Vargas, 1922.